You need to be careful when removing old resilient flooring. 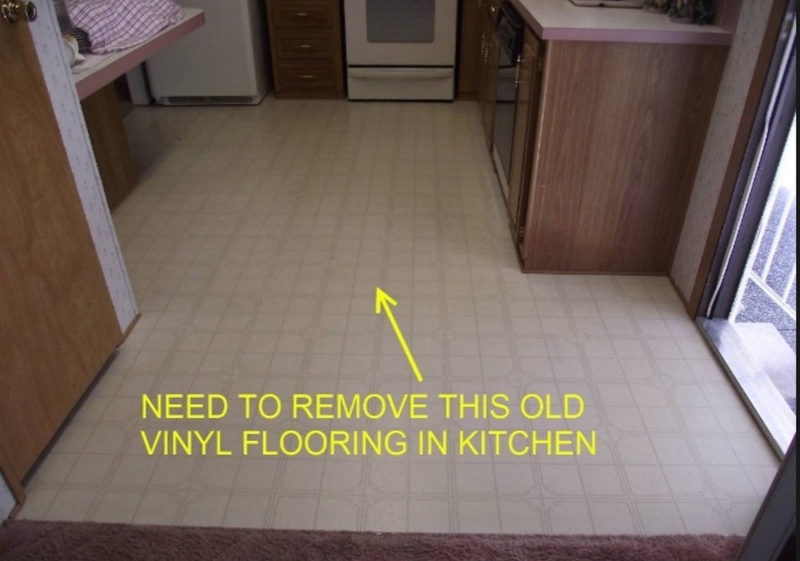 Many lino­leum and vinyl floors from the 1970s and earlier contained asbestos in their backings or adhesives. Various federal, state, and local government agencies have regulations that require special licensed abatement contrac­tors to remove material containing asbestos. (You can find these contrac­tors online or in the Yellow Pages.) I never remove old resilient flooring without having it tested for asbestos first. it is just not worth possible health problems, breaking the law, and contaminating the home. An alternative to removing old linoleum, vinyl, or any flooring material that possibly contains asbestos is to install a new one over it. This requires that a proper subfloor exists under the resilient floor (see chapter 3) or that new underlayment has been added. i am usually able to verify the presence of the subflooring by looking at a preexisting plumbing hole, loose flooring, or a heating vent or by removing a transition piece. The wood flooring fasteners need to penetrate the resilient-type floor and at least 5/s in. into the actual subfloor material. If needed, install plywood underlayment over the old resilient floor­ing. Most manufacturers recommend that a 3/8-in. or thicker underlay­ment be used. Increasing the height of the floor can sometimes present problems. For example, new wood flooring installed in an existing kitch­en usually runs up to the bottom of the cabinets and in front of appli­ances such as dishwashers or trash compactors. This additional flooring height might make it impossible to remove such appliances for service or replacement. Also, large transitions in height to other rooms can trip an unsuspecting guest. Many homes I work on have particleboard underlayment, a material that is unsuitable for use as subflooring, installed below the carpet. I remove it by cutting it into manageable 2-ft. squares. I find this makes it easier to pry off the floor and remove from the room without damaging the walls. Installing wood flooring. Safety Equipment Is Paramount.